No. 1 Ladies' Detective Agency author Alexander McCall Smith also writes the hugely popular Isabel Dalhousie mysteries. 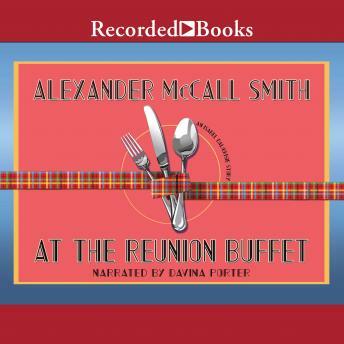 A favorite novella in that series, "At the Reunion Buffet" showcases Isabel's grit and grace as a friend-and dinner host. Inviting 25 former classmates to a reunion dinner, Isabel sees an opportunity to finally resolve age-old differences among her classmates. But when damaging secrets and long-held resentments surface, Isabel finds the path to true forgiveness runs along a very slippery slope.